Web Analytics Can Tell You Exactly How To Be Successful. Web Analytics is a requirement. When you measure it, you can improve it and today, website analytics allows you to measure every aspect of your Digital marketing strategy. When web analytics is properly deployed businesses can move away from relying upon gut instincts to using real time, accurate data to show them exactly what is working and what is not. Your digital marketing strategy maps out your business’ goals and marketing campaign tactics. Web marketing analytics will track your traffic and allow you to measure its performance against your key performance indicators (KPIs) ensuring you are always making progress in reaching your sales goals. 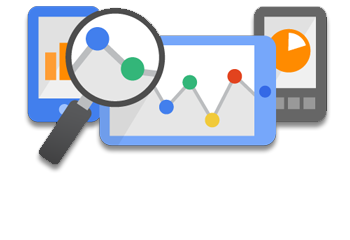 Web analytics also identifies previously unseen opportunities, from keywords used by your prospects, to sources of referring traffic, to the technology visitors use to interact with your company. Web Analytics helps you continuously adapt to your customer’s location, needs and preferred methods of communications. Fortunately, world class enterprise analytical solutions are now freely available. This gives small to mid-sized businesses the ability to compete with larger corporations without the cost. The catch is, you need to know how deploy analytics and translate the data into marketing tactics that will grow your business. Lead Discovery has over 18 years developing , deploying and analyzing web analytics from small businesses to multi-national corporations. Give Lead Discovery the opportunity to review your website analytics for free. We will show you exactly how your internet marketing is performing, develop a set of recommendations and provide a quote to execute on our recommendations.